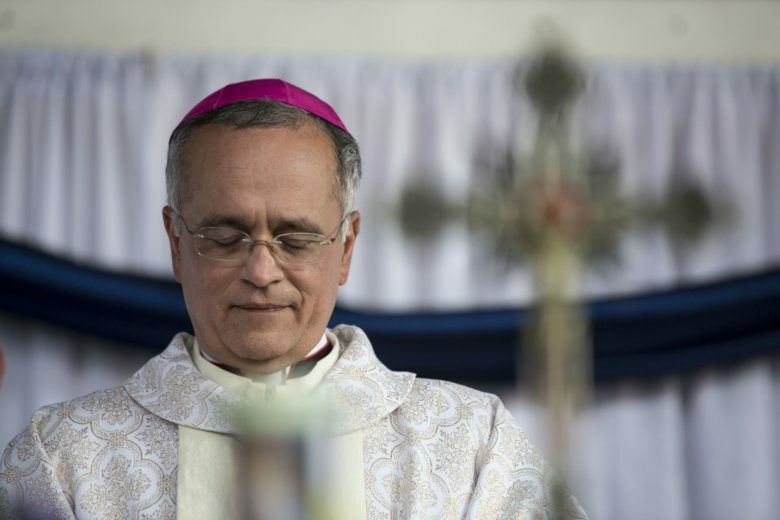 MANAGUA, Nicaragua (AP) — The auxiliary bishop of Nicaragua’s capital, a vocal critic of the government of President Daniel Ortega, urged Nicaraguans to “fight for freedom” Sunday, in a final message before being transferred to Rome at the request of Pope Francis. Báez has received multiple death threats over the past year, and he suffered a cut on his army when he and other church officials were attacked by a pro-government mob in the town of Diriamba. Drones hover over his home, and men on motorcycles have entered the parking area. He has had to change his phone number four times because of the threats. Pope Francis recently told Báez that he is needed in Rome but didn’t say whether the decision was related to an alleged assassination plot, which Báez has said the U.S. government warned him of several months ago. The announcement of his indefinite transfer has shaken opponents of Ortega.